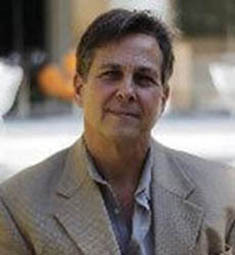 www.kldenergy.com – Mitchell Rabin is the founder and president of A Better World, an organization which uses media, education, communications and business to create an energy-efficient, renewable-energy based, sustainable and harmonious society domestically and globally. An international eco-entrepreneur, speaker, and stress management consultant Mitchell has a background in psychology and business, having started several green, eco-friendly companies since 1990. Along with the CEO and inventor, Mitchell helped to begin an electric motor system co. called KLD Energy Technologies, in Austin, Texas, and is on KLD’s Advisory Board. KLD is currently becoming an electric vehicle company as well as providing motor systems for scooters, smart cars, small trucks, and generators for wind-turbine companies. Mitchell raised the seed capital for KLD and is engaged in forming business relationships for the company. In 2011, Mitchell began as a consultant to the CEO of Chava Energy, Inc., looking to raise capital and bring business forward for this company dedicated to the research, development and marketing of cutting edge, revolutionary, renewable technologies. Chava is now involved in a vertical axis wind turbine project, which has begun using the KLD generator for its turbine prototypes. In 2012, Mitchell was invited to partner in Eco-Opportunity Advisors, a marketing company whose clients have cutting-edge renewable technologies such as the hydro-power technologies of Natural Power Concepts (NPC), and others. Mitchell is involved in helping to bring these new technologies into the marketplace. Mitchell is a passionate environmentalist and entrepreneur for decades and over the past years, has brought these passions together so that being an advocate for the environment can be economically and ecologically sustainable. He has been an entrepreneurial pioneer in the green movement, having helped to conceive and found half a dozen green companies since 1990, long before it was the trend as above. Mitchell sits on the Advisory Boards of KLD Energy Technologies Austin, TX, World Water Rescue Foundation NYC and was formerly on the Board of Directors of Aquasonics, LLC, based in NYC. Mitchell writes for the Huffington Post and his own weekly A Better World Newsletter (www.abetterworld.tv). A Better World is now in the process of applying for its 501 ©3 status.